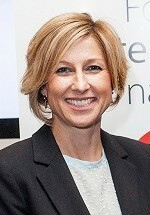 With confirmation of a Senate Inquiry into Co-operatives and Mutuals and the endorsement of member-owned businesses in the McClure Report on welfare, it is time to think seriously about how to facilitate the growth of this increasingly important self-help segment of the economy, writes Melina Morrison, CEO of the Business Council of Co-operatives and Mutuals. There can be little doubt as to the significance of Australia’s member-owned businesses, which now contribute more than six per cent of Australia’s GDP. The sector is an under-recognised, but systemically important part of the economy. There are more than 13.5 million members of mutually owned enterprises in Australia, representing 8 in 10 Australians as member-owners of these businesses. Co-operatives operate across many sectors of our economy, including agriculture, motoring, finance, insurance, retail, health and childcare and they include household brands like NRMA, The Co-op, Devondale Murray Goulburn, HCF and Australian Unity. The role they play in sectors like health insurance, banking and community services is important in ensuring that there is real consumer choice, transparent pricing and genuine market competition. 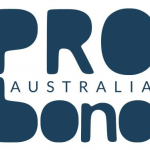 Co-operatives and mutuals can help Government to grow the Australian economy by contributing towards a range of public policy objectives including diversity in business, which will act as a counterbalance to mitigate systemic risk to the economy, providing employment opportunities for Australians, spreading wealth throughout the country and providing business structures for public service providers that keep them accountable to their users and taxpayers. Mutuals and co-operatives are grassroots businesses, owned and operated at a local level. Because they are locally connected with the ‘board room in town’, they are committed to being in business with the local community for the long term – they are the original community business partners, with a locally owned ‘jobs compact’ mentality in their DNA. The Government’s landmark inquiry into welfare reform, the recently-released McClure Report, spotlighted co-ops and mutuals as a business sector that could help Government towards its objective of long-term job creation and hence help alleviate welfare dependency. The report highlights the role they could play in the roll out of the NDIS, particularly in rural and remote areas, recommending that Government work to ensure an enabling regulatory, economic, and social environment to support co-operatives and mutuals. Likewise, BCCM’s 2014 White Paper, Public Service Mutuals: A Third Way for Delivering Public Services in Australia, and recent evaluations of mutuals delivering human services overseas also call for more to be done to encourage the growth of mutuals and co-operatives in Australia. Now that Government has recognised that co-operatives and mutuals are an essential part of civil society, what should this action look like? Where to from here? It is critical that the Federal Government adopts the McClure Report’s recommendation to promote the value of mutuals and co-operatives, particularly in terms of their potential to generate positive social outcomes for people and communities; generate economic and social resilience for individuals, communities and organisations; and achieve higher levels of consumer engagement and improve employee wellbeing in the delivery of services. Promoting the growth of businesses which are member-owned or owned to benefit members instead of shareholders, is common sense in troubled economic times. We’re not listed, so these businesses provide for greater security and stability in the economy when markets are in flux. We are ‘sticky money’. What we earn we keep here to invest in Australia’s future. That is why Governments at all levels should invest in the growth of the sector. Being a self-help model, much of the growth in the co-operative sector happens organically, with co-operatives sharing their expertise and knowledge in mutual aid with new organisations. However, the sector does lack critical resources in the areas of business intermediaries, there is poor knowledge and a low level of engagement from legal and financial services providers, co-operative and mutual education and training in mainstream curriculum is virtually non-existent, there is no Government funded data collection on the scale of the sector and seed capital remains a barrier. These challenges and barriers need urgent redress. Last year the BCCM produced a sector plan titled “Blueprint for an Enterprising Nation” which harmonised the needs of the sector and suggests how to create the environment for co-operative growth and prosperity, which will benefit our nation and its people. To ensure that these firms fulfill their potential, the BCCM calls on Government to facilitate a deeper understanding and appreciation of co-operatives and mutuals, modernise the rules and regulations governing co-operatives and mutuals, and extend mutuality to serve the public interest. The upcoming Senate Inquiry is a landmark opportunity to examine the contribution of co-operatives, mutuals and member owned businesses and the current barriers to innovation, growth and free competition. The inquiry will also look at the impact of current regulations, comparisons between mutual ownership and private sale of publicly held assets and services, and any related matters. The BCCM recognises that the advent of the inquiry has created a unique space in the political discourse to discuss the value of co-operatives to the economy and we will encourage the broadest possible engagement with the Inquiry.